It’s my first time at the International Society for Technology in Education conference and so far it’s great! One thing I have concluded from years of conference going in general is that you should always go to the poster sessions. I like posters a lot better than presentations because you can see 5, 10 or 15 posters in the same time as it would take you to listen to one presentation. 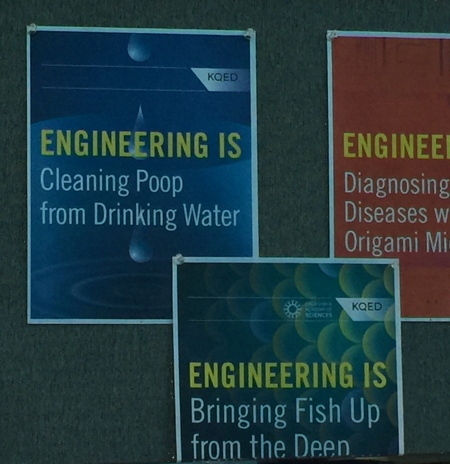 If you don’t like a poster that says “Engineering is cleaning poop from drinking water”, you have never taught children. It is actually a serious three-week with fascinating problems like how do you bring fish up from the deep ocean without killing them and how do we solve the problem of plastic polluting the world’s oceans? Do you want to see what I’ve learned? What kind of jerk says, “No” to that? 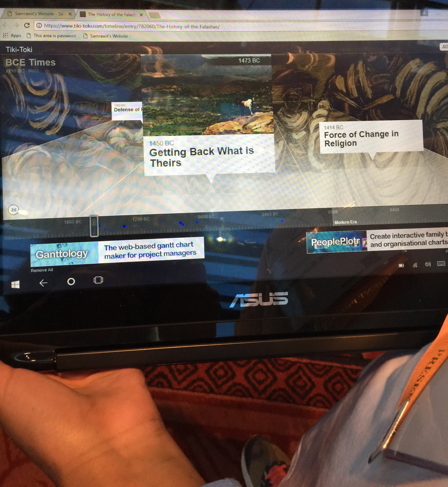 I know it is starting to sound like they were all my favorite, but I was stopped dead in my tracks by Centro Escolar El Encino because they are using augmented reality to learn from pre-Hispanic culture. It is an idea really close to our Aztech Games, but using math. Now you know what I liked, but what was popular? Well, since the session was on global connections, pretty much anything with the word ‘global’ in it was a hit. Also, students making videos seemed to be pretty popular. There were multiple sessions about making videos for global connection – a two-for-one special. Honestly, some of the videos were well-done but seemed more artistic than real education. One rather interesting project made extensive use of Google apps for peer-editing where high school students edited essays by younger students, and communicated through Google hangout while discussing the paper both students were looking at in Google docs. The most intense global collaboration I saw the Global Students of Today project, that pairs schools with partners across the globe for a three-year collaboration. So…. all of that was in 90 minutes. Take my advice, go to the poster sessions, at whatever conference you attend.As for ISTE, there are multiple poster sessions tomorrow. 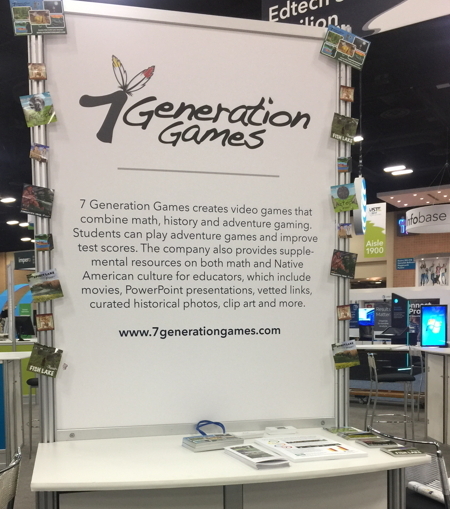 Try to hit one or two, and after that, come to the Expo Hall and look for 7 Generation Games in the Startup Pavilion.